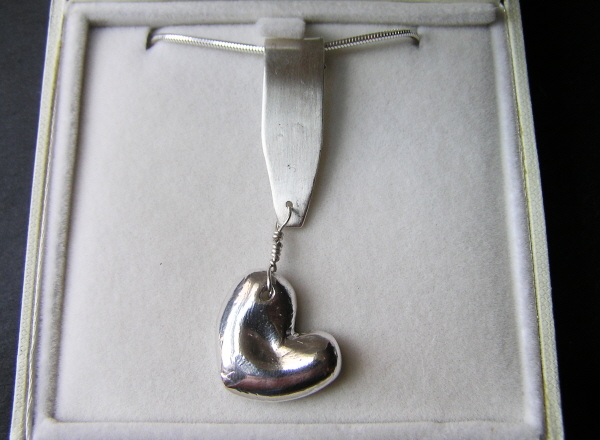 This was created for a special birthday, and consists of a lovely fat solid silver heart hanging from a sterling silver strip. 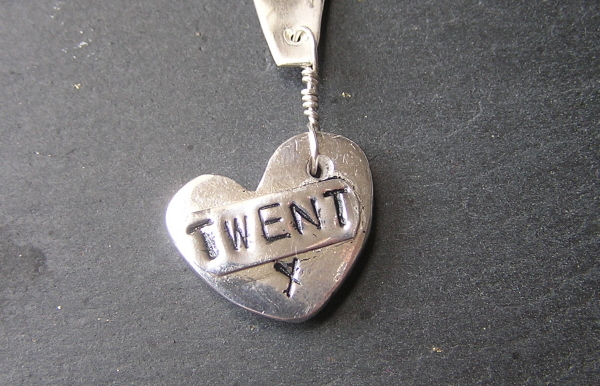 This has some special lettering stamped on the back. 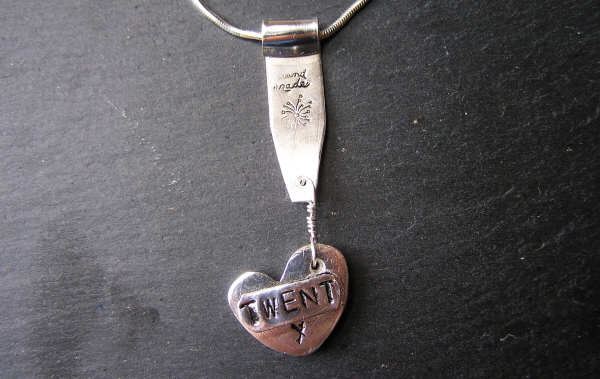 It is touches like this that you only get from a personal jeweller and not a mass producing shop.